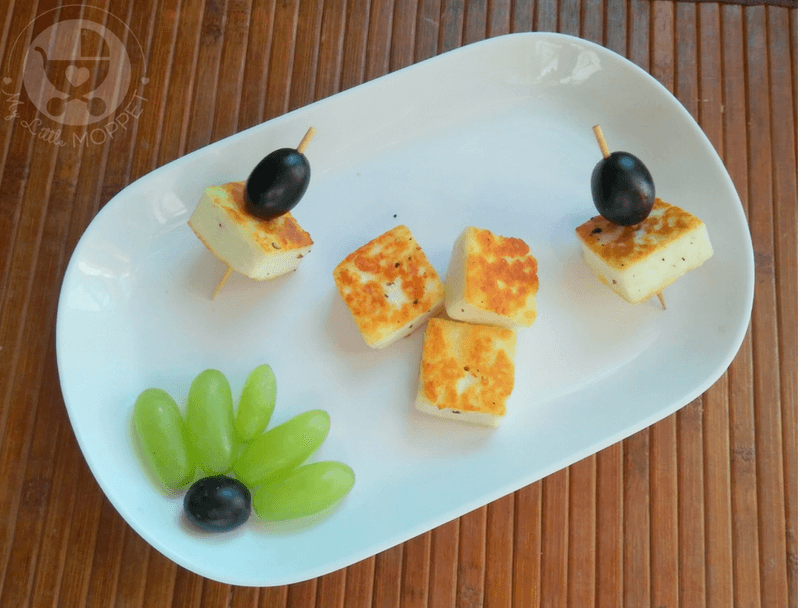 Paneer is one of the best foods for kids of all ages, and adults too! 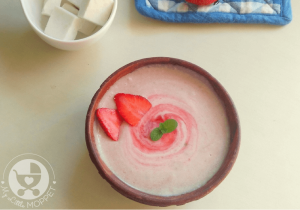 It is packed with protein and calcium – two nutrients that are often found lacking in Indian kids. And you don’t have to wait too long either; paneer can be introduced to babies at 8 months. 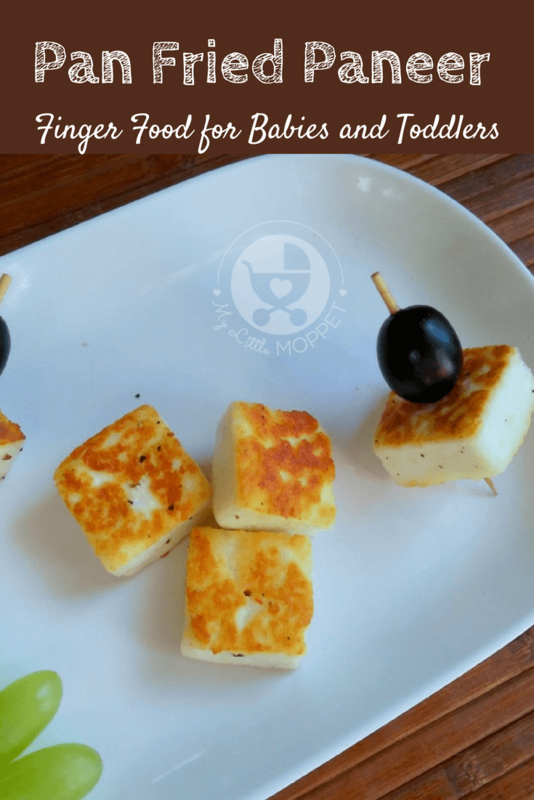 While there are several ways to serve paneer, like purees or smoothies, this pan fried paneer cubes recipe is one of the easiest. You need all of three ingredients for this, and you can even skip the black pepper if you like! 1. Heat a pan on medium flame and add some ghee. 2. 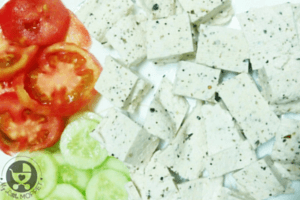 Toss in the paneer cubes and season with black pepper. 3. 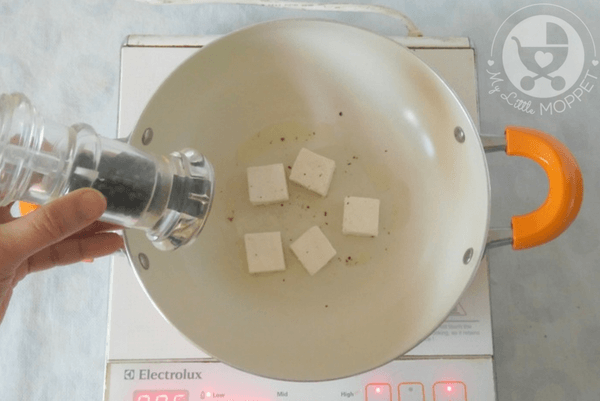 Fry the paneer cubes on a low flame until they turn golden brown. Flip and fry on the other side too. 4. Turn off the heat and arrange the cubes on a plate. Serve warm. 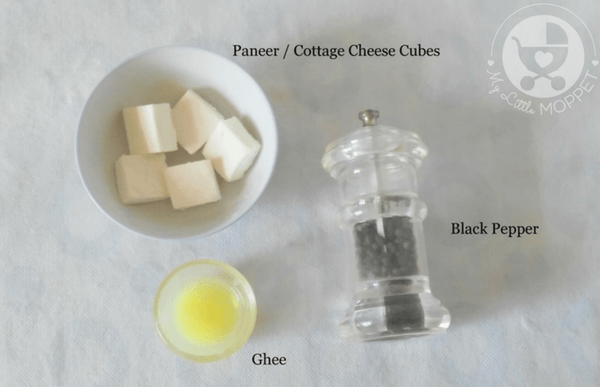 To make this pan fried paneer cubes more wholesome and to taste better, use homemade paneer. 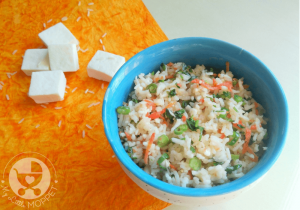 Store bought paneer simply cannot compare to fresh, homemade paneer! You get softer cheese, which is ideal for young kids. Feel free to cut the paneer into triangles or any shape you like. 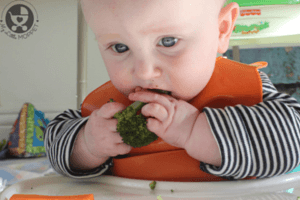 And as kids grow older, you can serve it on a stick with other veggies – perfect to sneak in more nutrition! 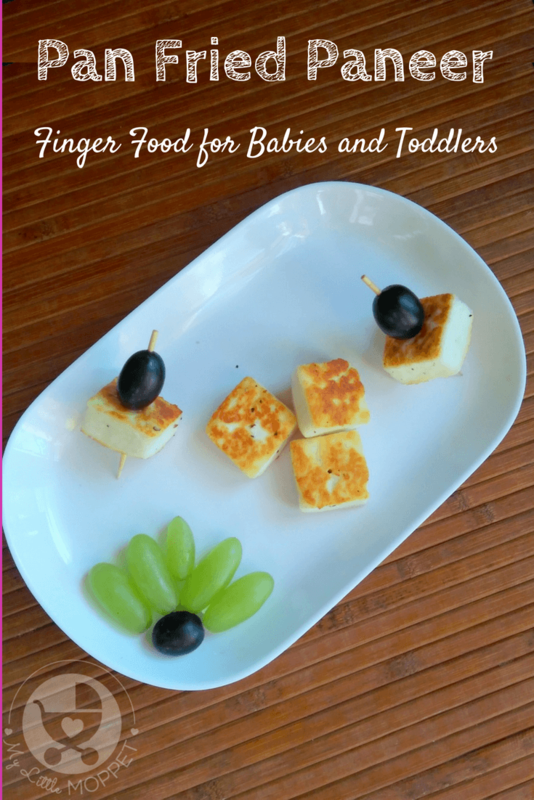 Paneer makes a great finger food for babies over 8 months, and this pan fried paneer cubes recipe is a nice snack for babies and toddlers! Heat a pan on medium flame and add some ghee. Toss in the paneer cubes and season with black pepper. 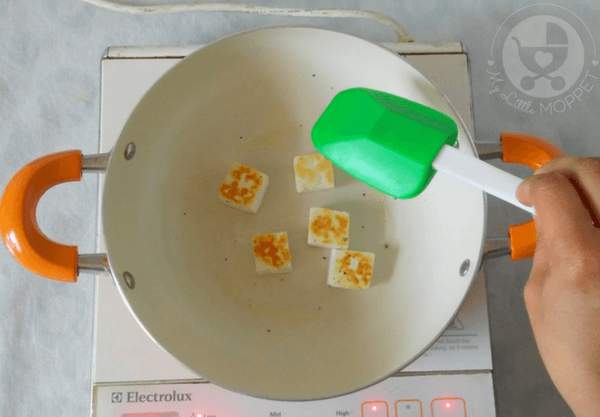 Fry the paneer cubes on a low flame until they turn golden brown. Flip and fry on the other side too. Turn off the heat and arrange the cubes on a plate. Serve warm. That is a serving suggestion. 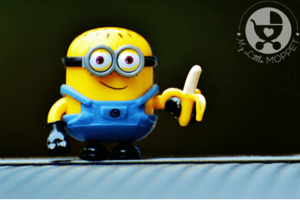 You can serve it on a stick with other veggies or fruits of your choice.